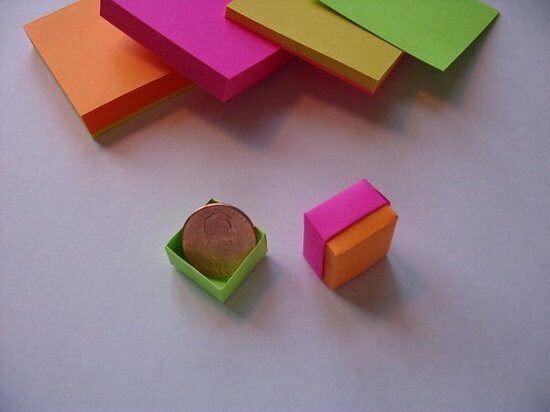 These fun ways to use sticky notes will leave you amazed with the creativeness. 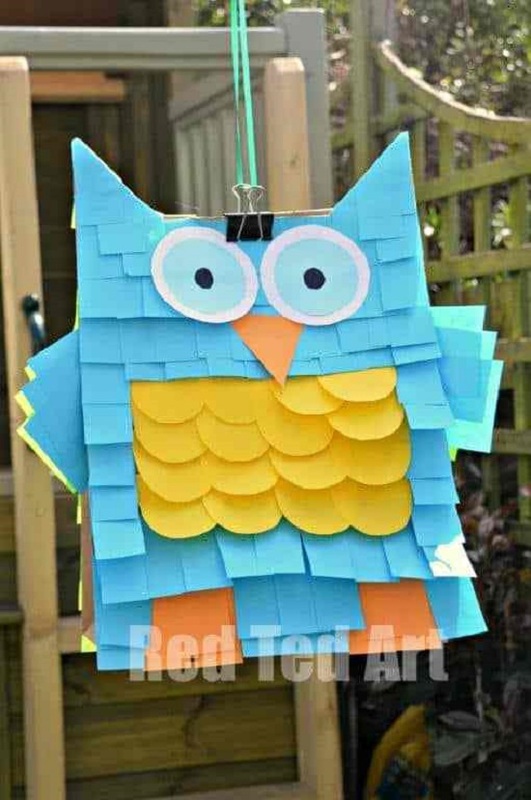 We’ve rounded up 16 of the most crafty post-it notes uses. Tape down colored chips randomly to create a quirky calendar that will let you mark all the important appointments ahead of time. The tutorial is here. Spell out motivation quotes on post-it notes and secure them on the soft office board for all the Monday mourners to see! Get inspiration here. Bold yellow sticky notes act as the perfect canvas for writing congratulatory messages at a graduation party. Visit MarthaStewart for the instructions. 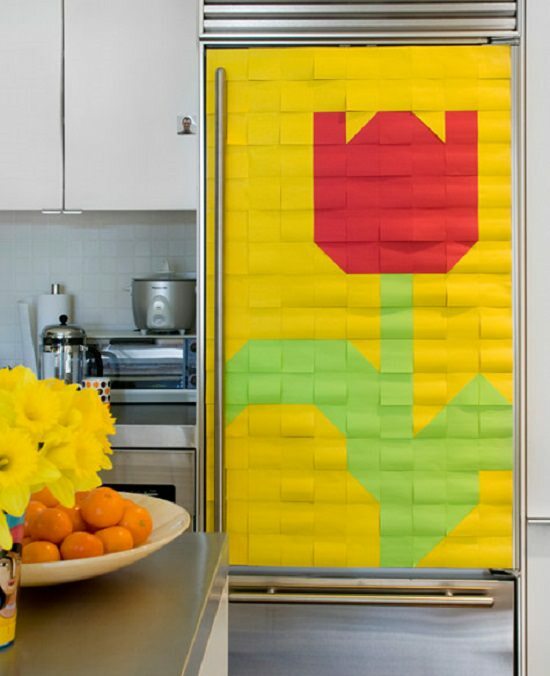 This larger-than-life post-it fridge cover will brighten up the surrounding space just as well. Follow the instructions here. This apartment-friendly Christmas tree is relevant year-round. Make your own with this tutorial. Dress up your handmade cards with these pretty post-it origami flowers in different colors. We got inspiration from here. Star Wars-inspired wall decor is a budget-friendly way to pay ode to the all-time Sci-fi classics. Get the step by step guide here. Post-it pinatas act as cute props for a birthday, baby shower or just about any party that could do with some low-budget, last-minute decorations. Check out this link! Get your meal planning game in order with this organized post-it binder. See this tutorial for details. If you’re looking for a discreet place to hide the keys to your minibar, we suggest you follow this link. Sticking post-it notes is all that you need to do for creating fascinating luminaries out of ordinary fluorescent bulbs. This post by fabDIY is proof. No money to buy wallpapers? Decorate plain walls with pastel-colored post-it notes instead. Get inspiration from here. These compact post-it boxes are great for saving tiny things that keep getting lost, like your keys, gold studs, and loose change. Instructables came up with the tutorial. Attaching sticky post-it notes to your charging cords is a good way of knowing which peg goes into which hole. Here’s a detailed post on this project. 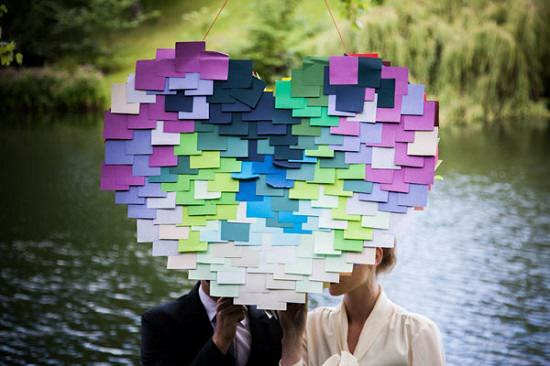 For a playful party decor that speaks volumes of your true feelings, this post-it heart pinata is the way to go. We found it here.